Michael Gove has written to Dr Paul O’Donoghue, chief scientific adviser at Lynx UK Trust, explaining that he had decided not to grant a licence for the release of six Eurasian Lynx into Kielder Forest on the grounds that a review by Natural England concluded that the application from Lynx UK Trust does not meet the necessary standards. Natural England was asked to provide advice to Defra on the application and to undertake a full assessment of this, including how the proposals met international guidelines for reintroductions and translocations. Based on Natural England’s advice, the Secretary of State has decided to refuse the application as it was determined, through scientific advice, that it did not meet the necessary standards set out in the International Union for Conservation of Nature (IUCN) guidelines. An additional consideration found that the application did not comprehensively provide the necessary information required for Defra to be confident in the success of this proposal. 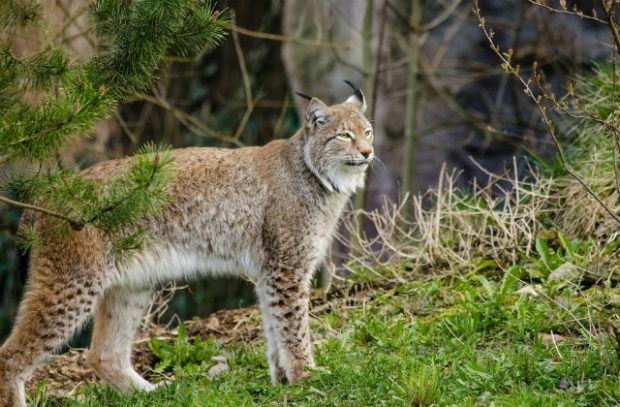 NFU senior countryside adviser Claire Robinson said: “The Government’s decision to reject the application from the Lynx UK Trust to reintroduce lynx into the Kielder Forest will come as an enormous relief to the farmers in the area. “The NFU’s opposition has always been underpinned by our concerns about the impact lynx could have on the welfare of livestock. The Secretary of State himself notes that the application had failed to demonstrate ‘local buy-in’ and Natural England’s evidence says that the NFU’s concerns were not addressed. NSA Chief Executive Phil Stocker said: “NSA is delighted to hear the application has been rejected and that Mr Gove and his colleagues within Defra and Natural England have taken our comments on board. We strongly believe this is the right decision, on ecological, social and agricultural grounds. Today’s victory is not just for farmers, but for the ecology of the area, the rural community and the farming economy. Find the official Defra notice at https://www.gov.uk/government/publications/lynx-reintroduction-in-kielder-forest?utm_source=df1992f4-8ad1-4082-9102-44b110a665d5&utm_medium=email&utm_campaign=govuk-notifications&utm_content=immediate.